We can build intelligent layers that extend any existing software programs you may have. It's intelligent-assistant-as-a-plugin to super power your software. Real time tracking of your bots displayed across a customizable dashboard. Conversation flow, buttons, cards - we'll design the perfect user experience. Rapid prototyping isn't just a buzzword when it comes to intelligent agents, it's a reality. Keep your bots fresh by logging into your account and updating content and responses. We'll extract and parse data from your websites to create dialogue. Plus, we'll script personality and conversational tones for your intelligent agent. Keep your intelligent agent up and running 24/7 with tiered hosting and storage plans. Our bots can jump. Deploy a single experience across multiple platforms and keep everything synced up in real-time. Sales automation and assistance all the way through check-out. We'll create screencast videos and GIFs of your agent, so you can share and promote online. Pre and post launch, we'll test and re-test performances, using a dedicated staff to submit queries. Experienced natural language processing and understanding engineers, our team produces some of the most advanced conversation AI in the world. 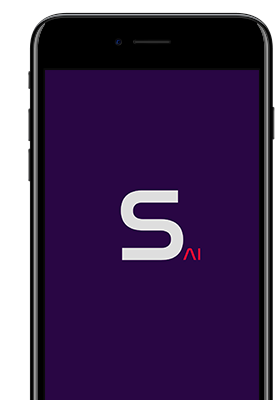 Sapien provides the strategy and confidence needed to deploy production grade conversational AI. Think of us as "Siri" for your use case. Our company scripts dialogue, designs cards, builds, deploys, markets, hosts, and manages your intelligent agents.